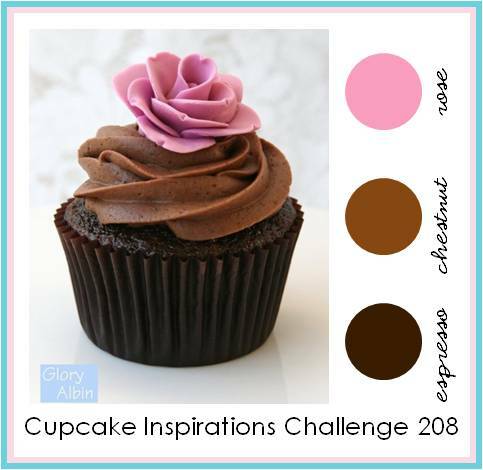 It's time for this week's Cupcake Inspirations Challenge and today we are celebrating the day using pink and two shades of brown. This week we are sponsored by Stampotique where you will find fantastic rubber stamps. They were kind enough to send me this one. Isn't she a hoot? 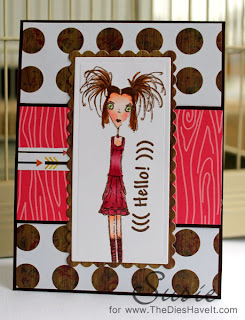 Loving the very simple design of my card too. Have fun with this week's challenge. See you tomorrow!